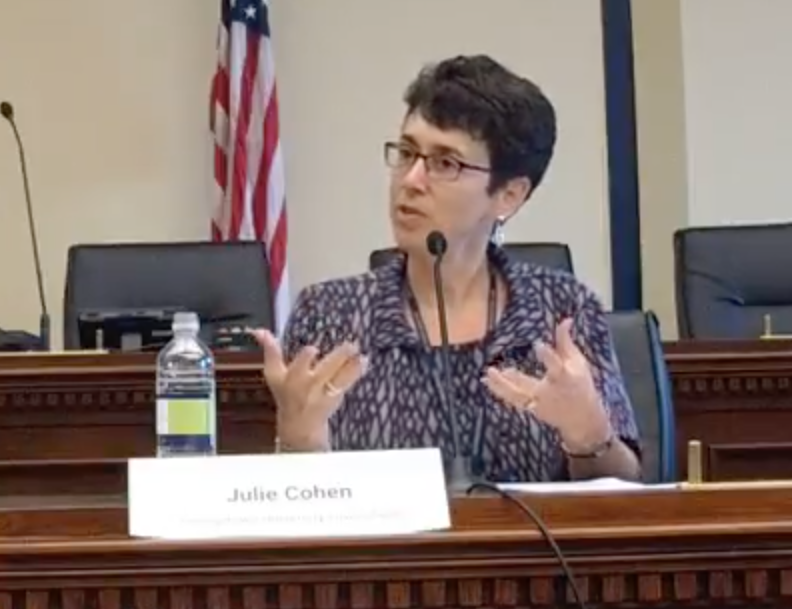 Tech Institute Faculty Director Julie Cohen spoke to Capitol Hill staff on Friday as part of a panel on the future of Section 230 of the Communications Decency Act, a longstanding provision that limits the liability of internet providers for content posted by their users. The panel, "Carving Out Exceptions to Section 230: How Will It Affect the Internet? ", comes at a time when Congress is considering new legislation to address online trafficking. The event was organized by the Advisory Committee to the Congressional Internet Caucus, an organization comprised of public interest groups, trade associations, non-profits, and corporations that convenes though leaders to help educate Congressional staff.